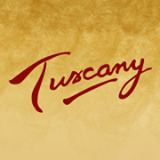 Located in Little Italy in Chicago as well as Oak Brook and Wheeling, Tuscany offers an extensive selection of unique Italian entrees, sure to tantalize anyone’s taste buds. Besides one-of-a-kind pasta dishes, we also offer the finest steaks and freshest seafood, as well as daily specials prepared to perfection by our executive chef. Tuscany is the ideal destination for revealing the rich virtues of a Tuscan village, even down to the very best wines Italy has to offer.